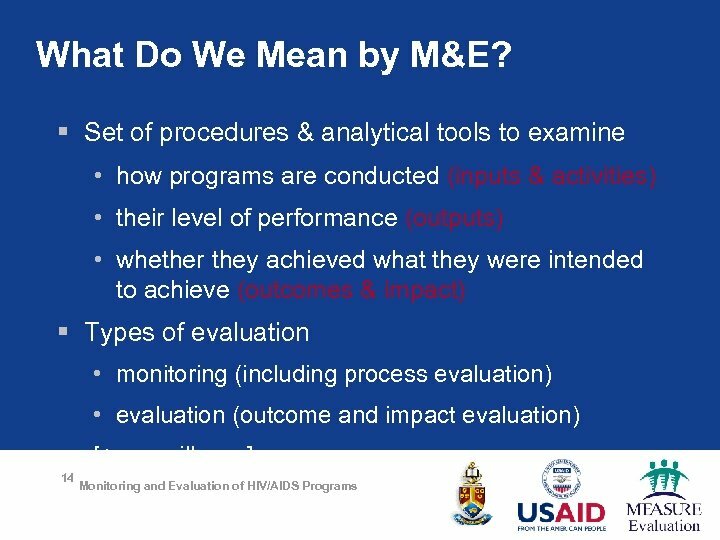 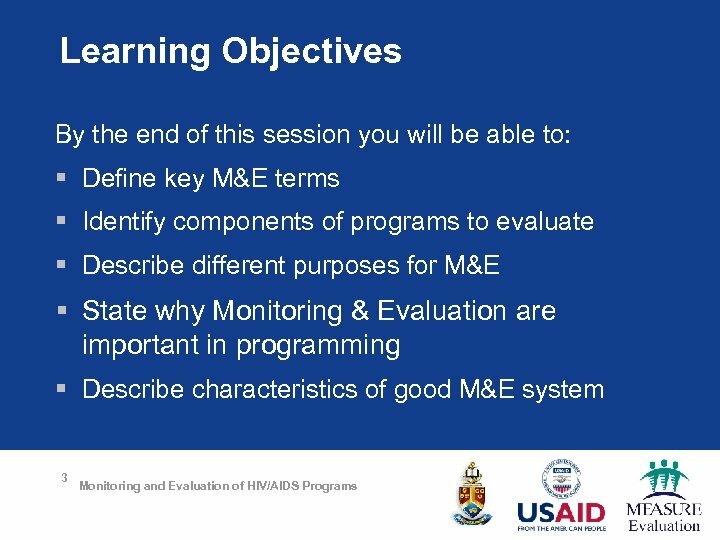 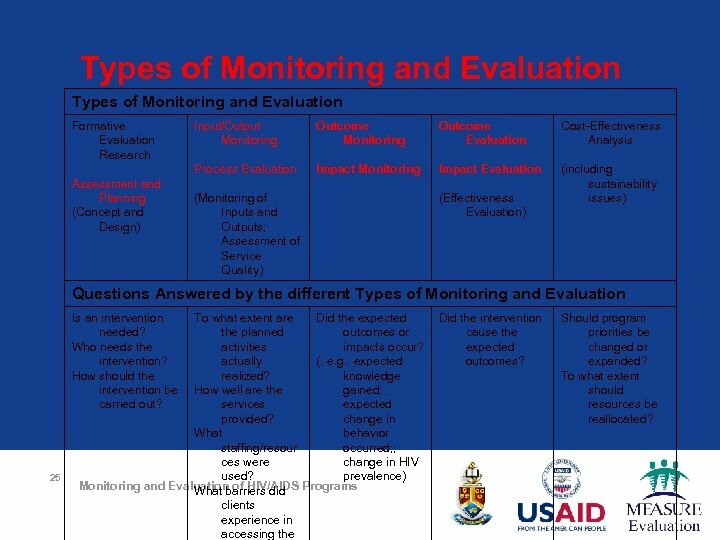 Types of Monitoring and Evaluation Formative Evaluation Research Outcome Monitoring Outcome Evaluation Cost-Effectiveness Analysis Process Evaluation Assessment and Planning (Concept and Design) Input/Output Monitoring Impact Evaluation (including sustainability issues) (Monitoring of Inputs and Outputs; Assessment of Service Quality) (Effectiveness Evaluation) Questions Answered by the different Types of Monitoring and Evaluation Is an intervention needed? 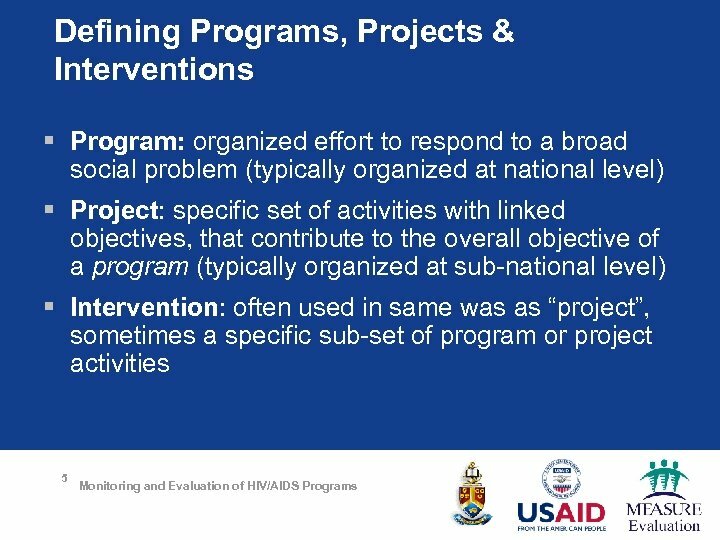 Who needs the intervention? 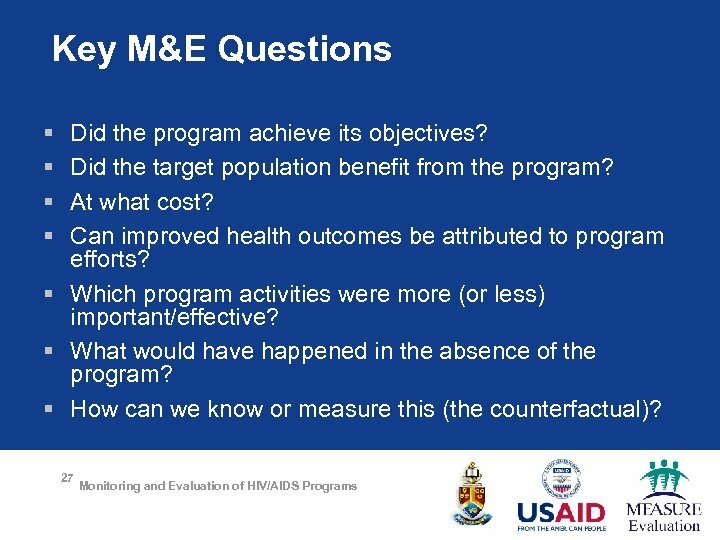 How should the intervention be carried out? 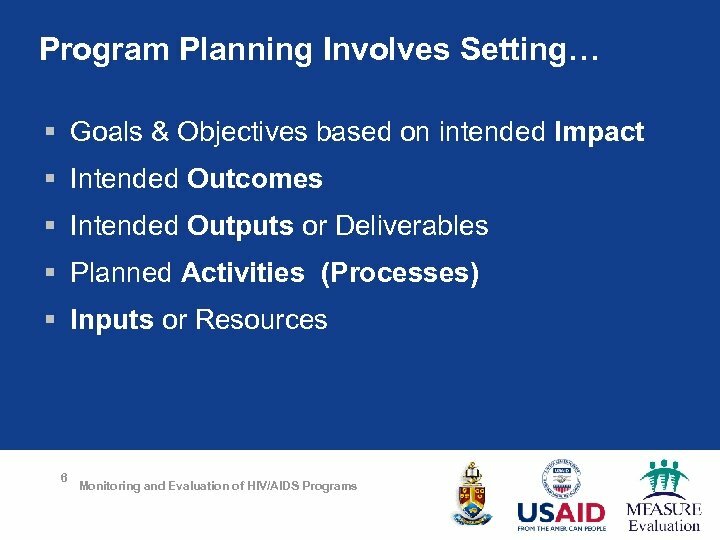 25 To what extent are Did the expected the planned outcomes or activities impacts occur? 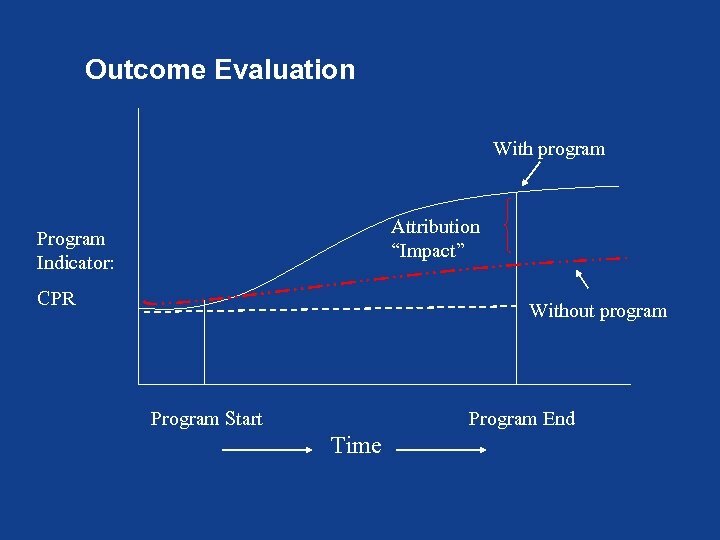 actually (, e. g. , expected realized? 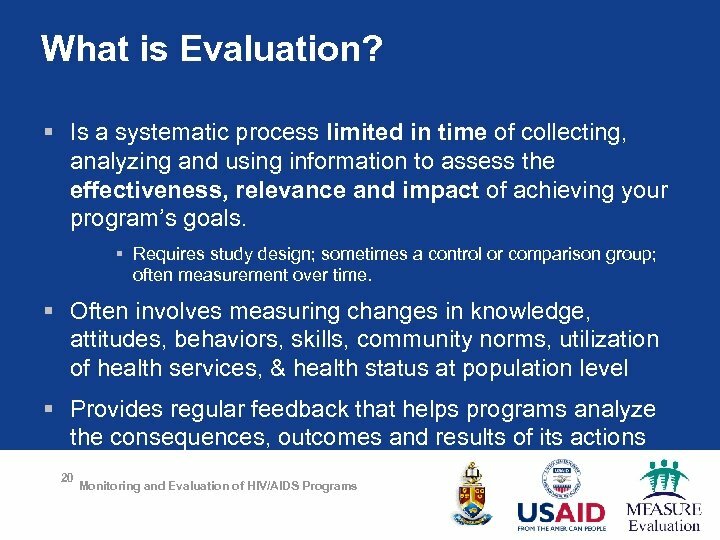 knowledge How well are the gained; services expected provided? 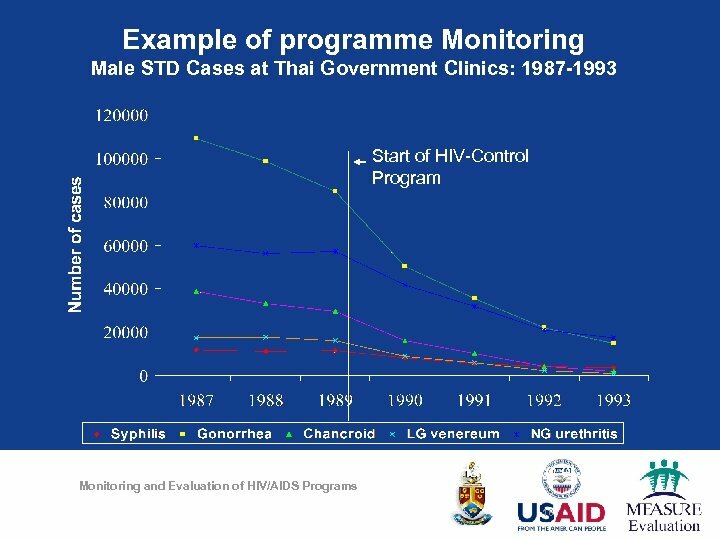 change in What behavior staffing/resour occurred; ; ces were change in HIV used? 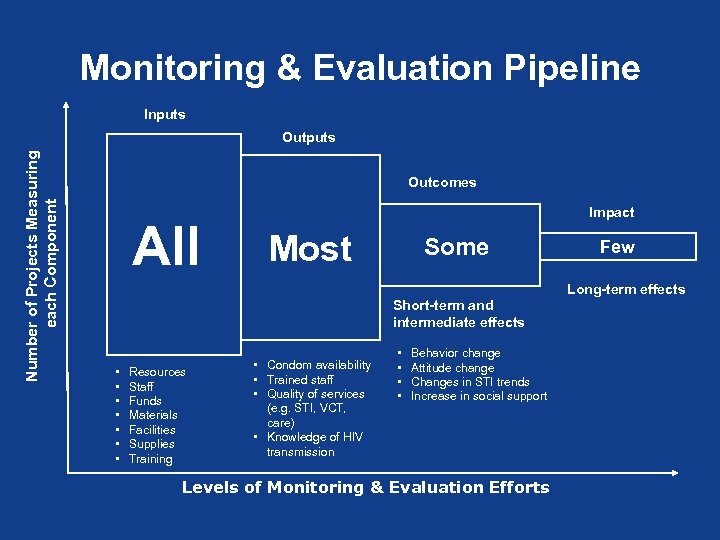 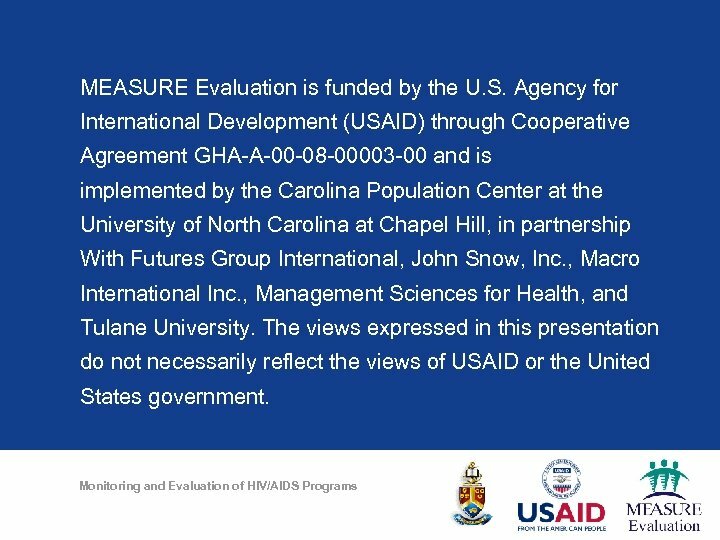 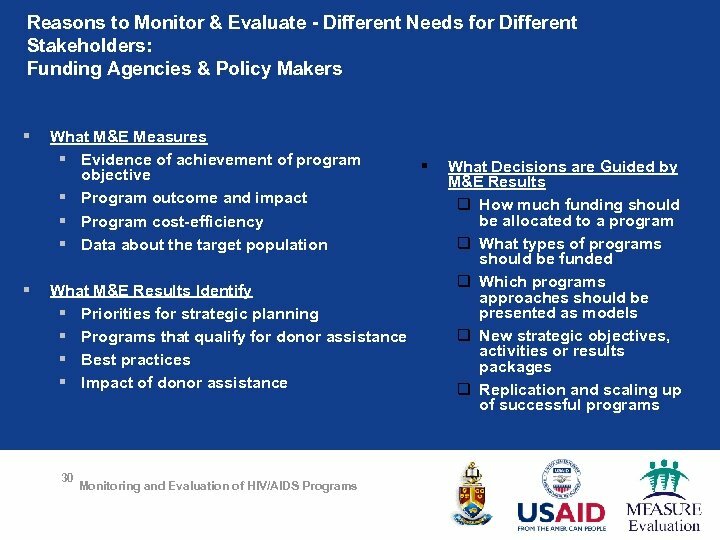 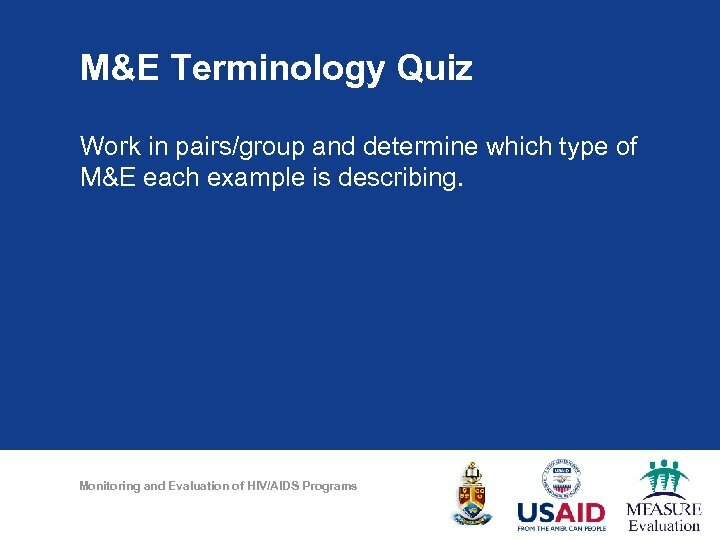 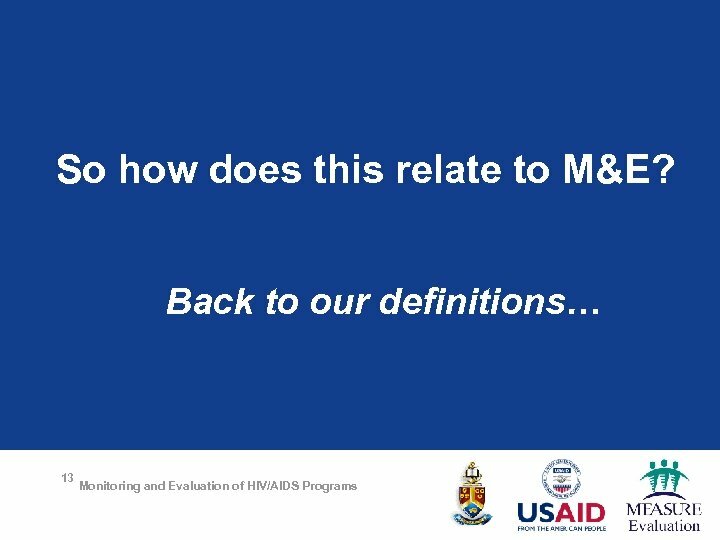 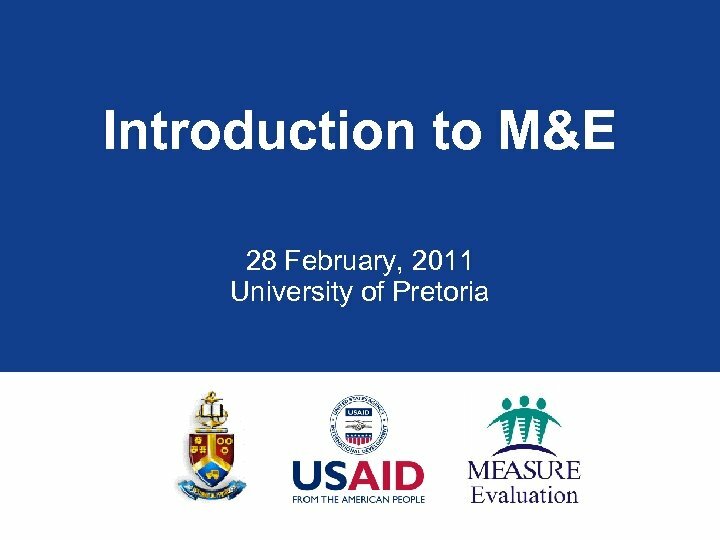 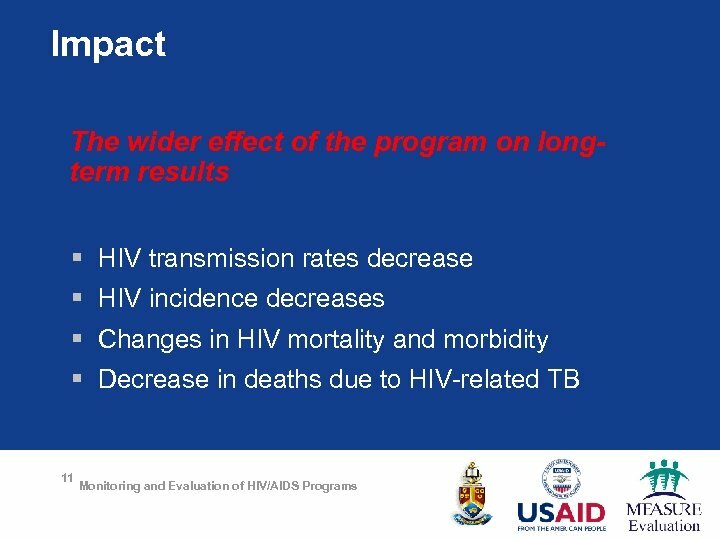 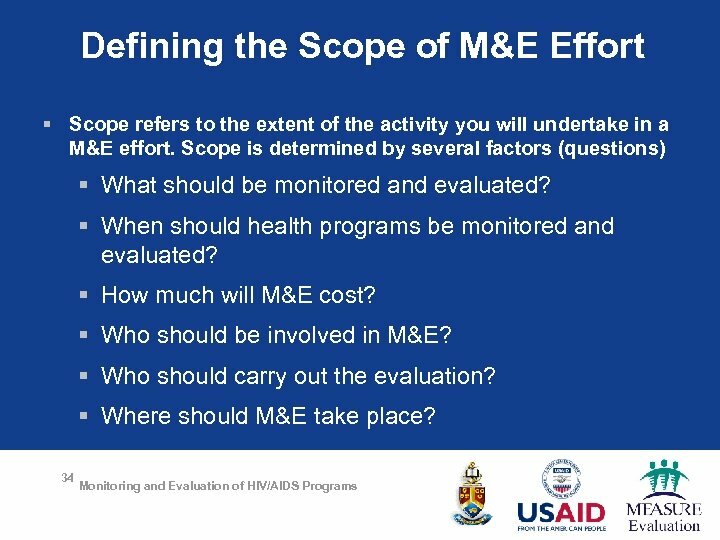 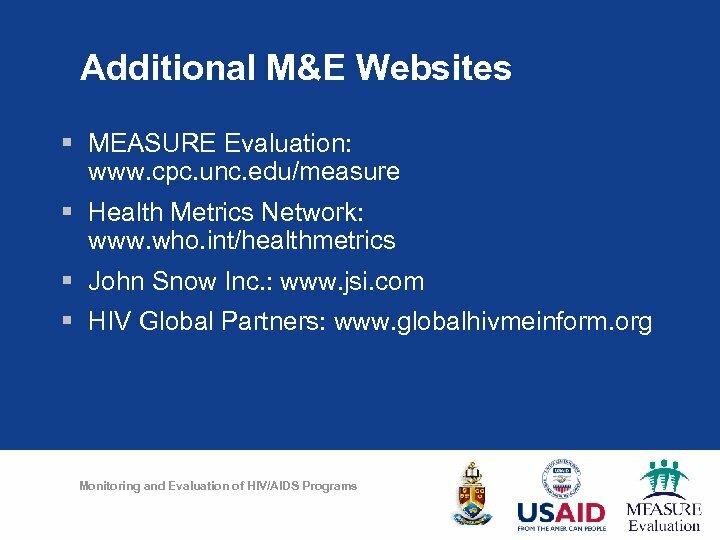 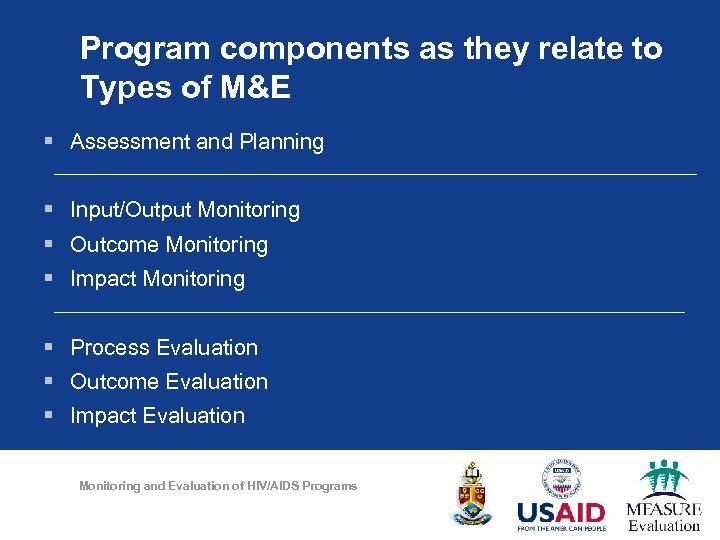 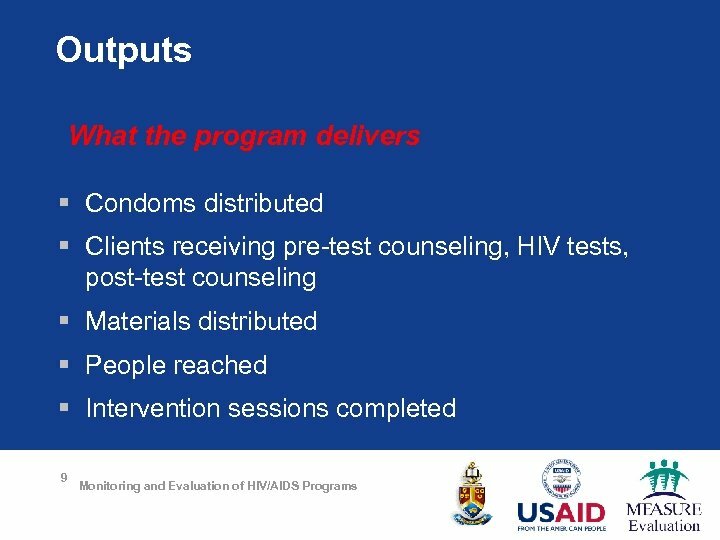 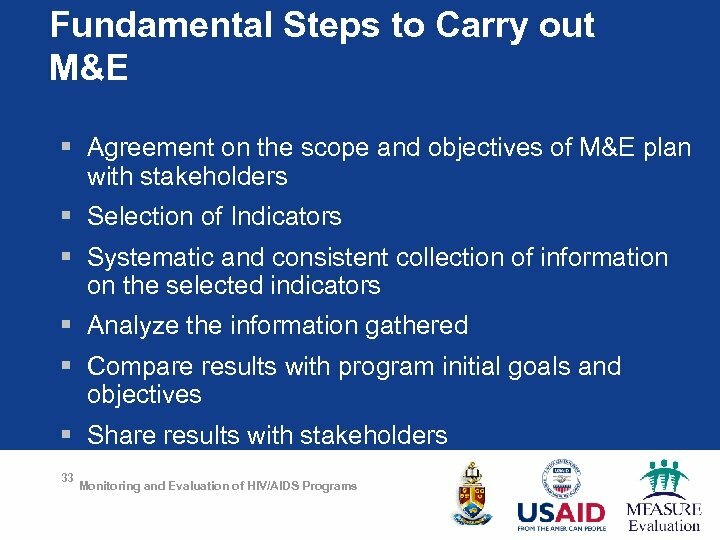 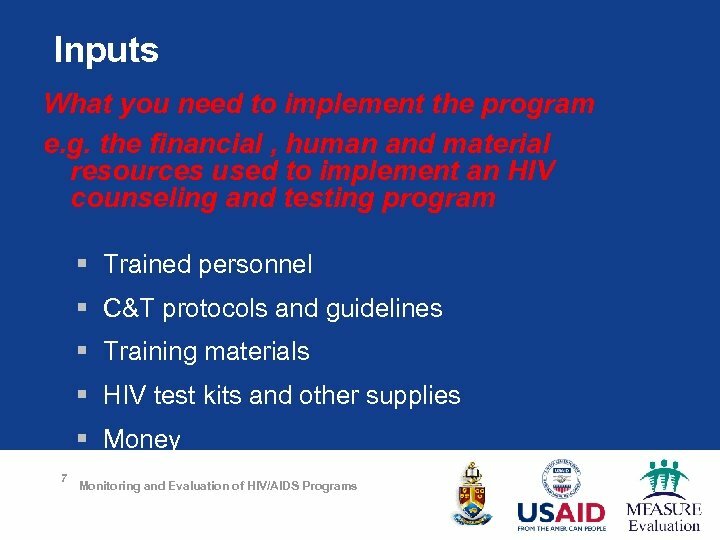 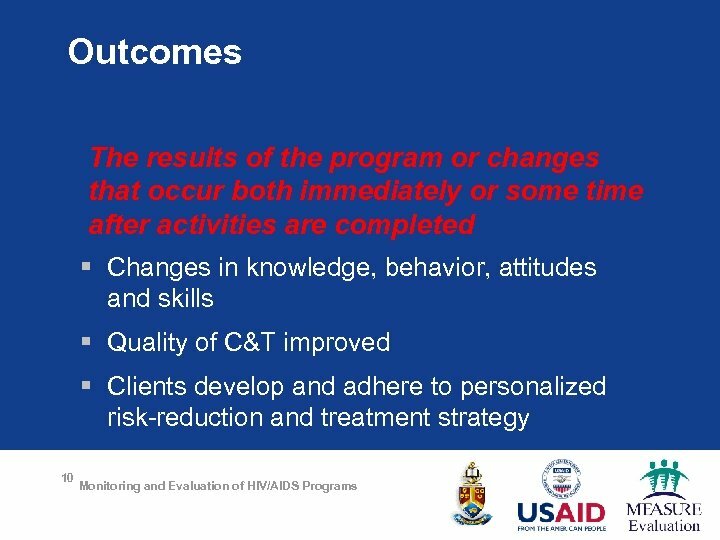 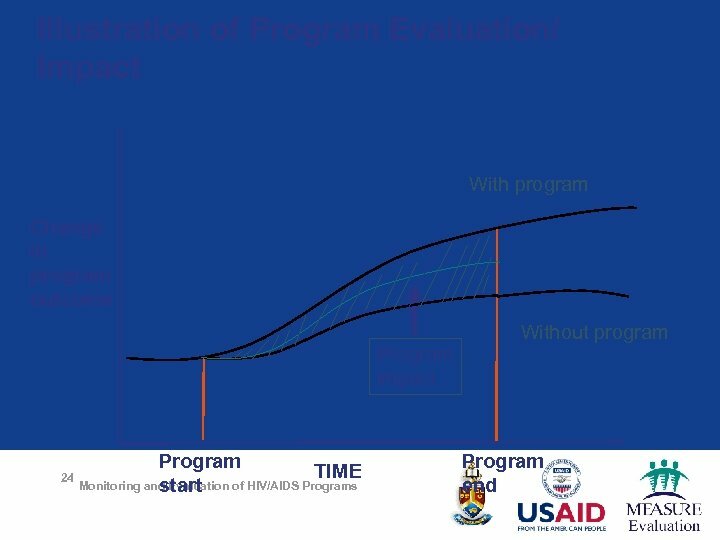 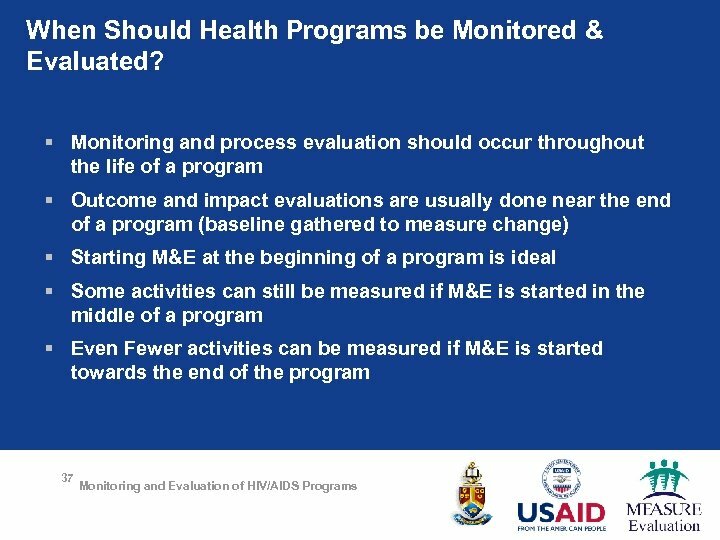 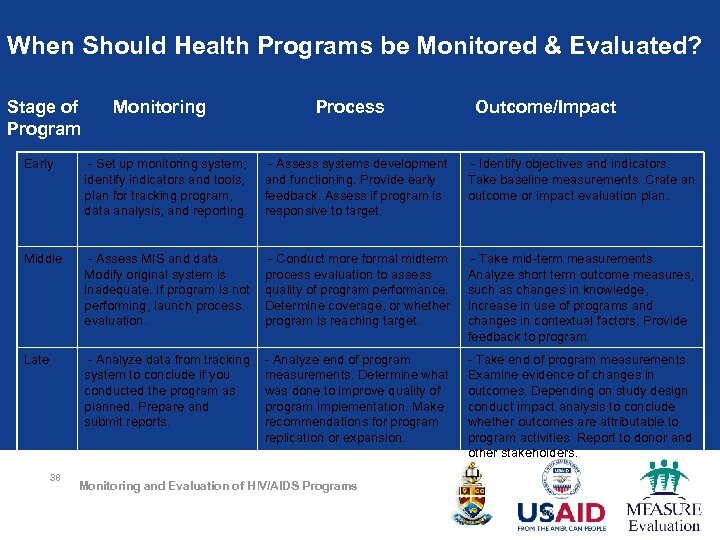 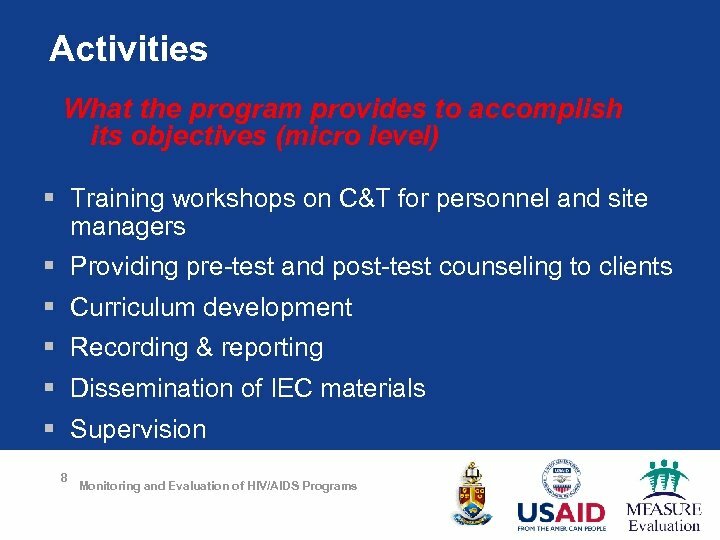 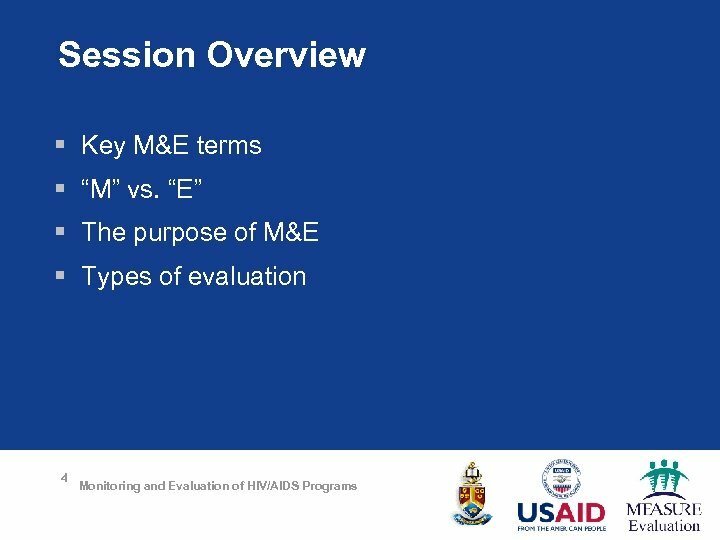 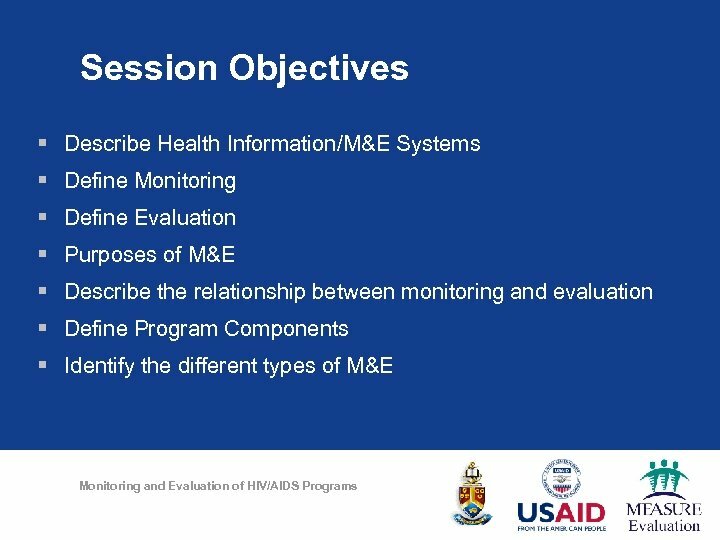 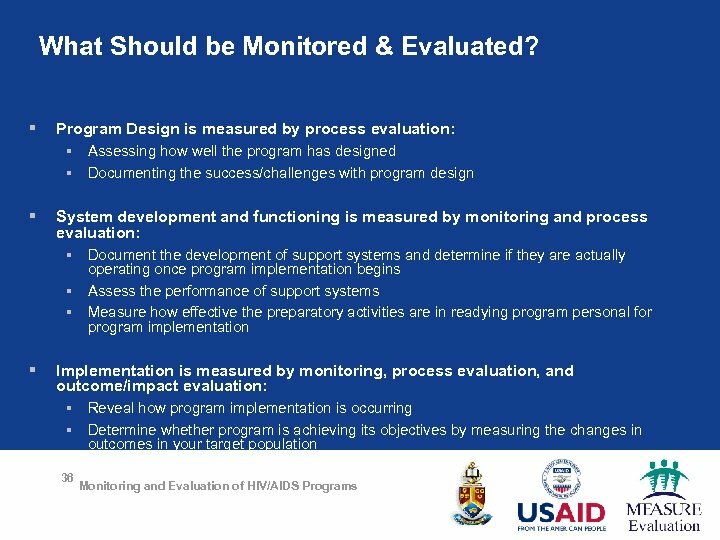 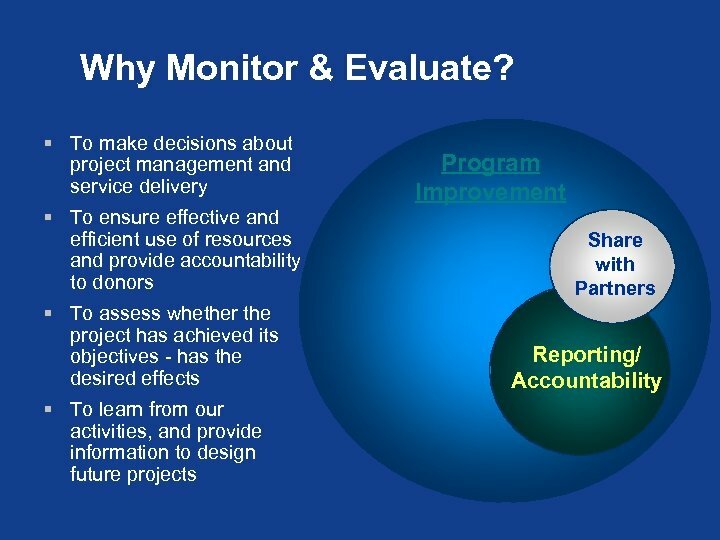 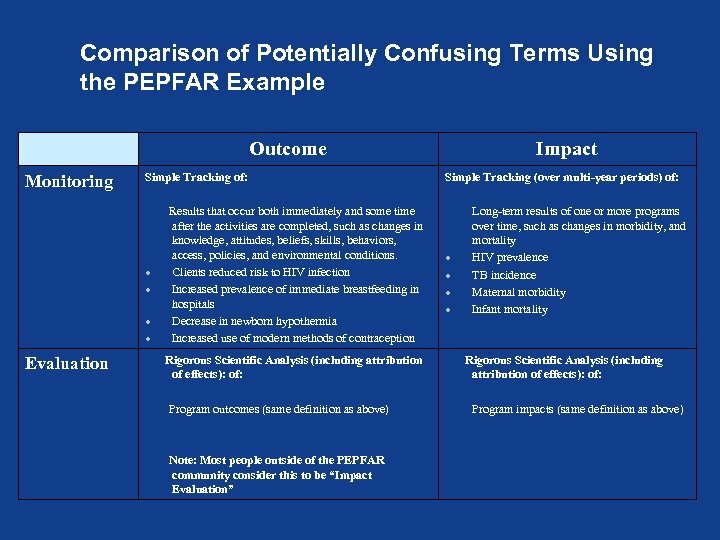 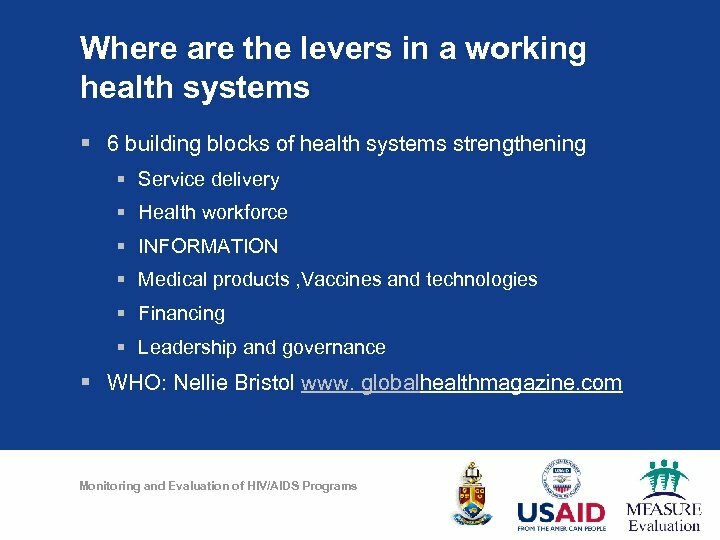 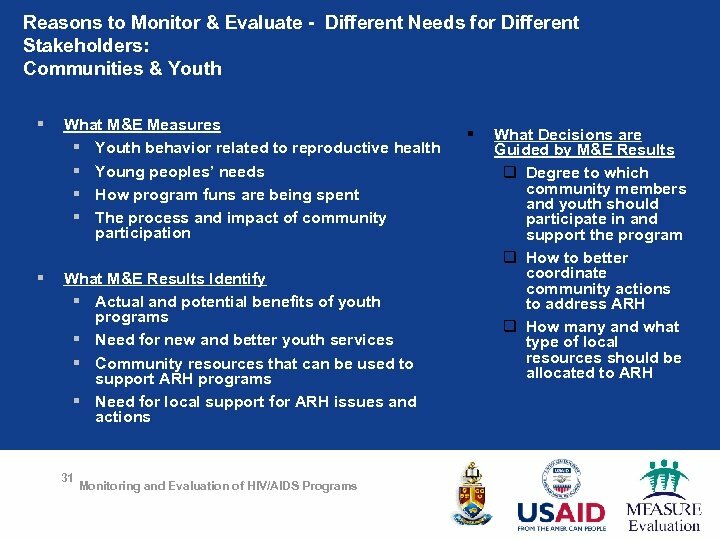 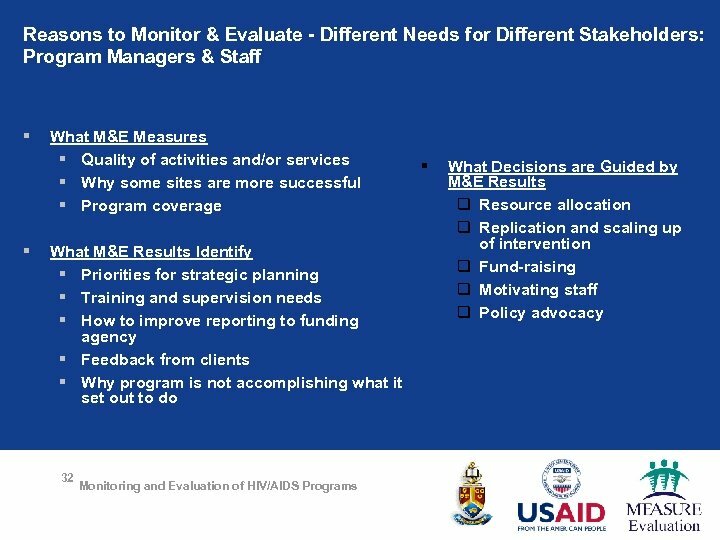 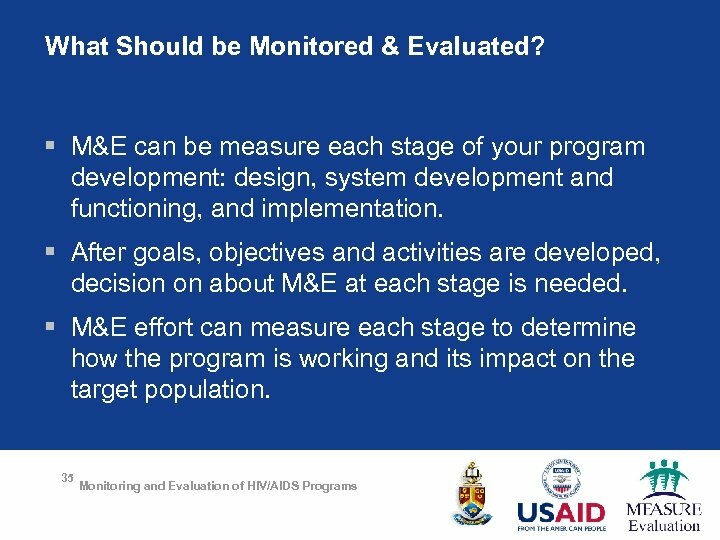 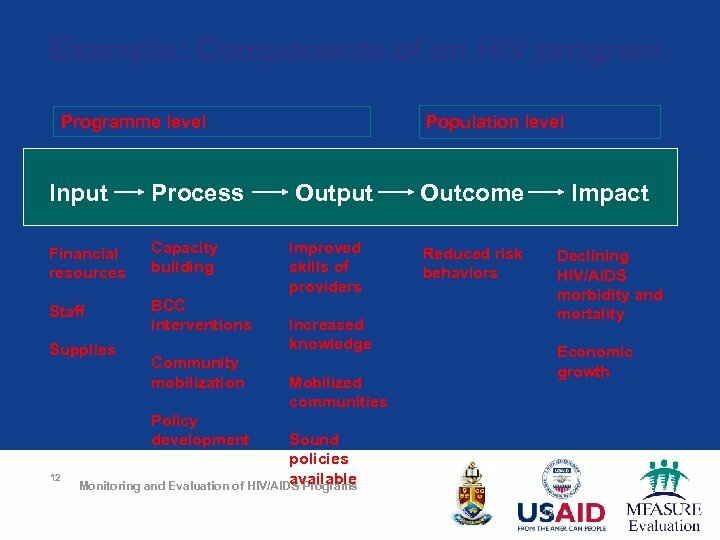 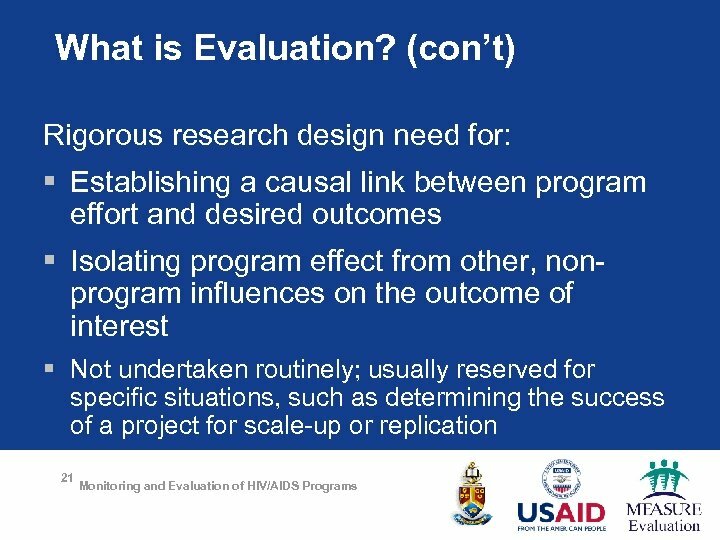 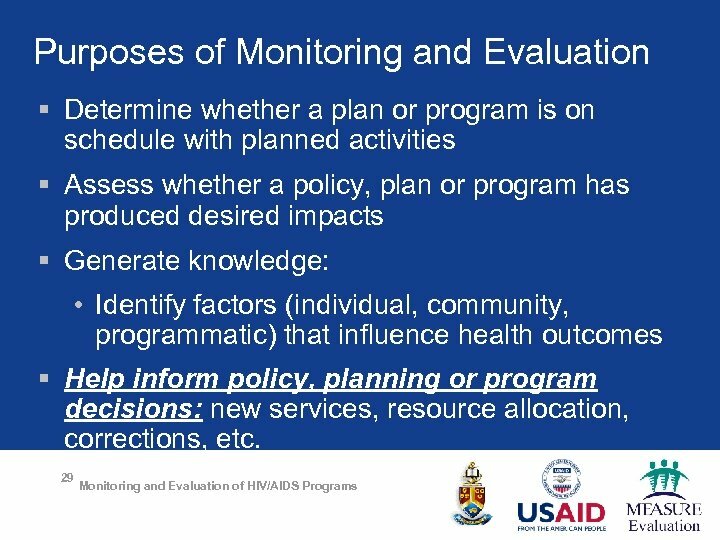 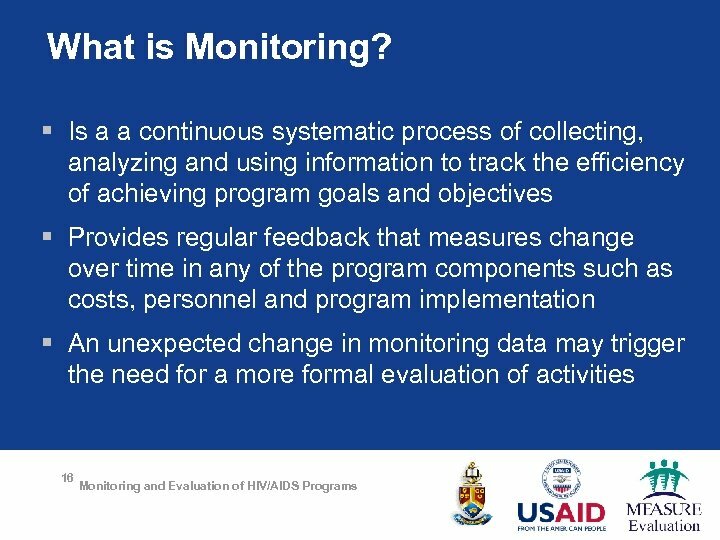 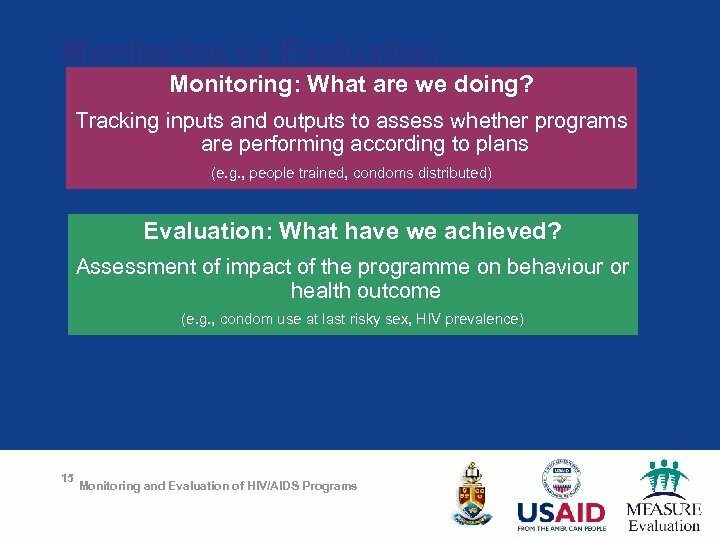 prevalence) Monitoring and Evaluation of HIV/AIDS Programs What barriers did clients experience in accessing the Did the intervention cause the expected outcomes? 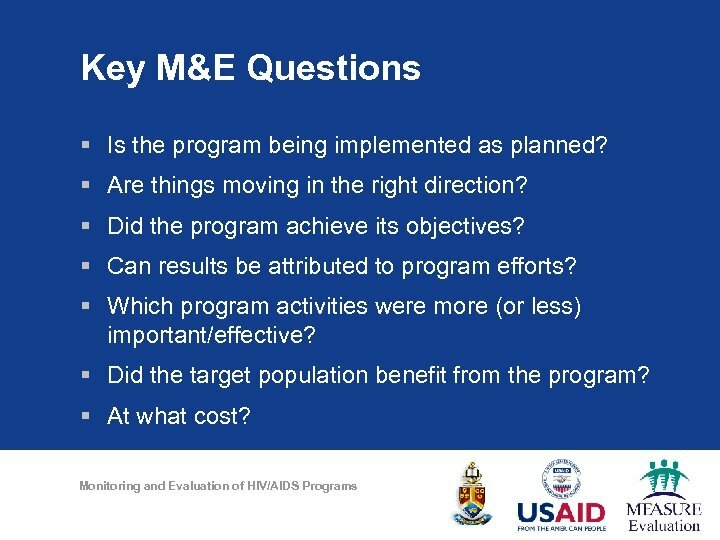 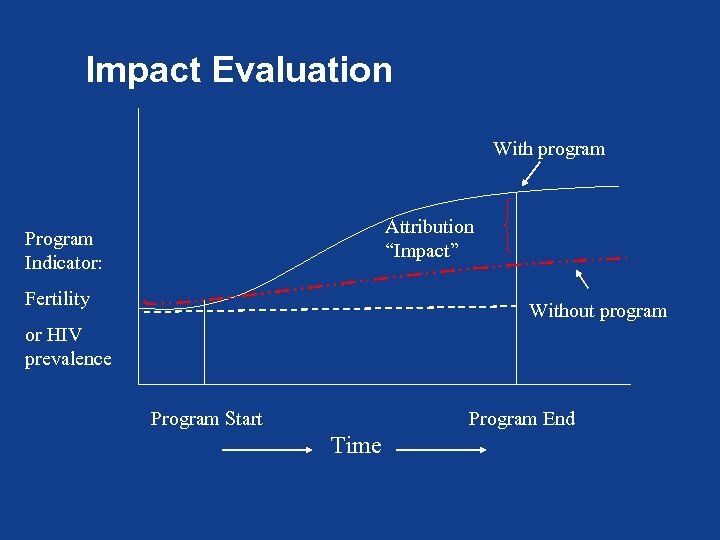 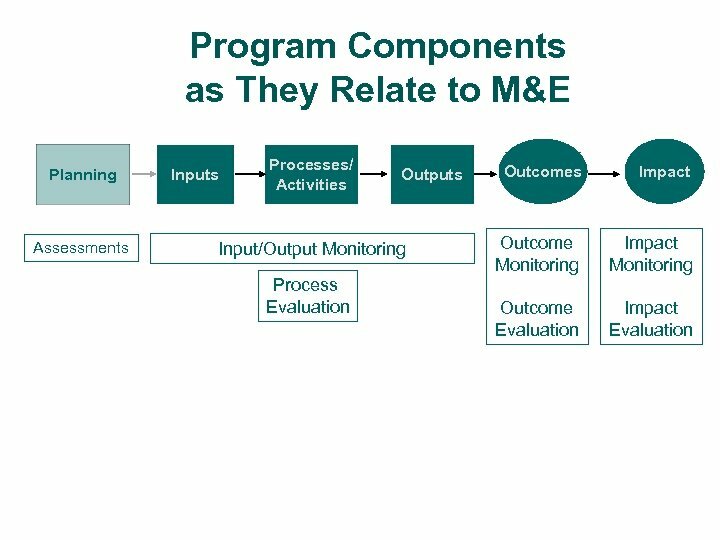 Should program priorities be changed or expanded? 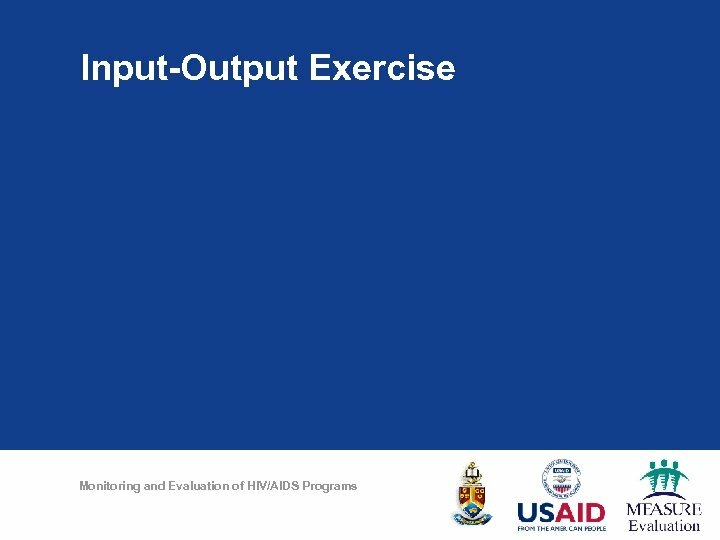 To what extent should resources be reallocated?